Cards for a speaking activity. If you get all the cards, you will have a broad variety of cards and topics. This downloadable teaching material is a great resource for high school students, elementary school students and adults at Pre-intermediate (A2), Intermediate (B1), Upper-intermediate (B2) and Advanced (C1) level. It was designed for developing your pupils' Listening and Speaking skills. 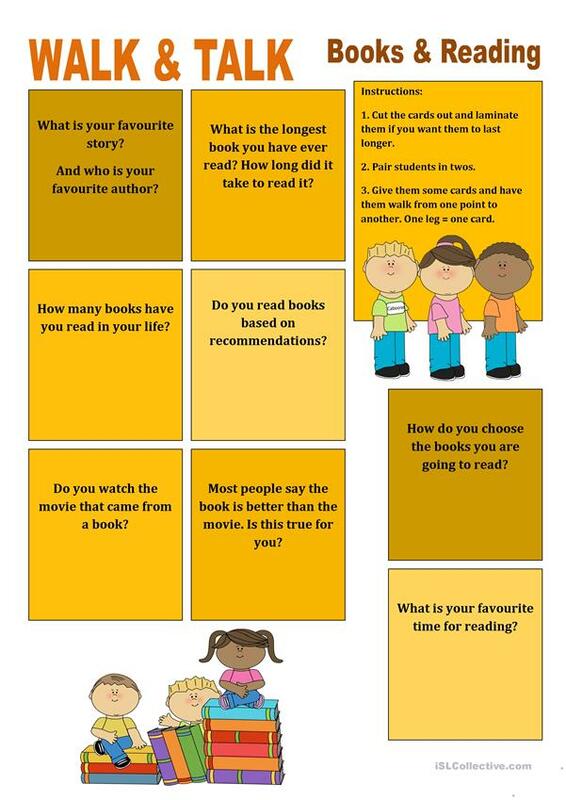 It is focused on the vocabulary topic of Books and reading.